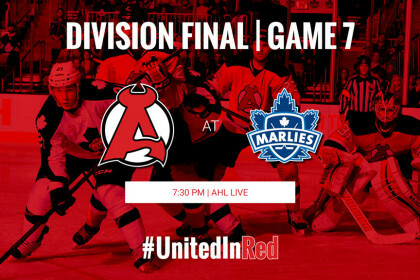 TORONTO — Winner takes all during Game 7 between the Albany Devils and the Toronto Marlies Monday at Ricoh Coliseum (7:30 pm). 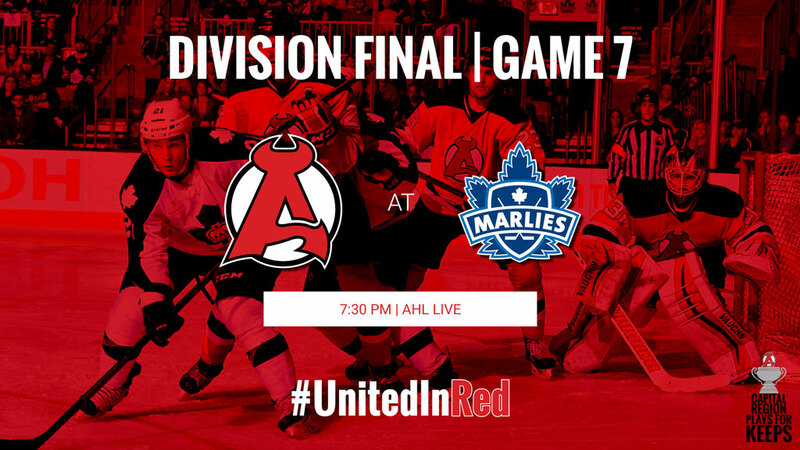 The Devils, who extended the series with a 4-1 win Saturday, will need to win back-to-back games for the first time this round. 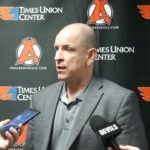 Albany went 28-11-4-1 during the regular season when coming off a victory. During the Game 6 victory, Scott Wedgewood made 34 saves and Nick Lappin tallied a goal and two assists. Reid Boucher and Corbin McPherson both had a goal and an assist and Graham Black also scored. McPherson and his defensive partner Marc-Andre Gragnani were both a +3. 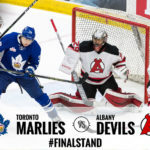 • Albany: Nick Lappin, who is the only Devil playing on an ATO, leads the team against the Marlies during the North Division Final. 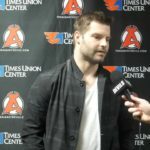 On top of his three-point performance Saturday, Lappin scored the game-tying and game-winning goals during Game 3. This series, he has five points with four tallies and one helper. 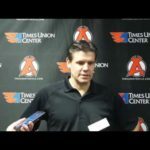 The Devils are still waiting to see if Jim O’Brien, Brian O’Neill and Mike Sislo – three top-six forwards – will be available for the game. O’Brien (shoulder) hasn’t played since the opening minutes of Game 1 and O’Neill (lower) missed Game 6. Sislo (lower) has missed the last two contests. • Toronto: After their 4-1 loss Saturday, Head Coach Sheldon Keefe said he was looking for more out of the highly touted William Nylander. The eighth overall pick in the 2014 NHL Draft has a goal a goal and two assists this series. The 20-year-old had 45 points (18g-27a) in 38 AHL games during the regular season and 13 points (6g-7a) in 22 NHL contests. 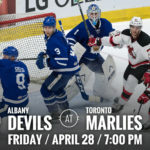 • All-Time: The Devils and Marlies have met eight times during the regular season and Albany is 2-3-3-0 all-time against Toronto. 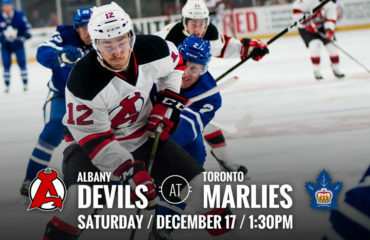 The Devils are 1-1-2-0 at Times Union Center and 1-2-1 at Ricoh Coliseum. During the regular season, the Devils were 2-2-2-0.